With this file you can import the file formats for VDF in Beyond Compare 3 (BC3). This make it possible to highlight the VDF syntax i BC3. Color syntax highlighting really helps spotting code differences. And copying code from BC to the studio does not alter international characters. This is a summary of the file format settings. - String, Number and Operator. - 4 spaces tab stop. 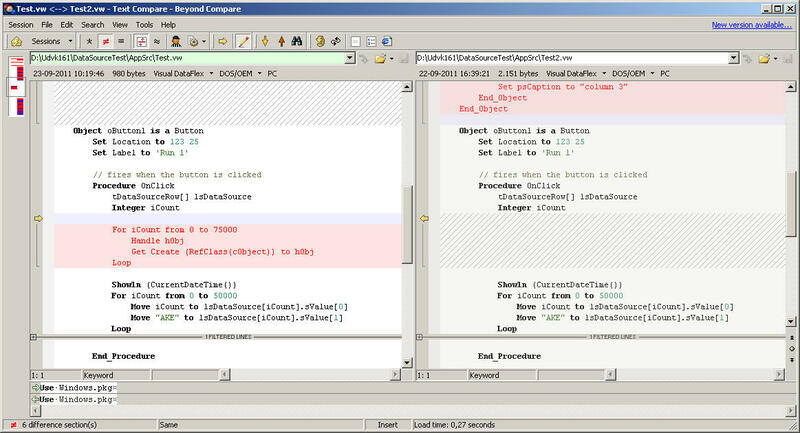 Here is an example of how a compare of two different VDF files looks like with VDF File Formats. After downloading, use Tools -> Import to import the new file format.